There’s an old factoid that has been circulating online for quite sometime now that says Donald Duck was banned in Finland. The reason for the popular children’s character being placed on the prohibition register was due to a lack of pants. So this begs the question. Is it true or not? Was Donald Duck banned in Finland. As much as I would like this to be true, it’s not. It surely would have ranked up there among the odd laws of the world. But as with all things of this ilk, there is some truth to the rumor. The myth that saw Donald Duck banned in Finland began decades ago, way back in 1977. At the time the city of Helsinki was experiencing a cash flow problem, just like many of us do. At a city meeting, councilman Markku Holopainen suggested that the city could actually save money by not buying Donald Duck cartoons for the cities youth centers. He proposed not purchasing the comics in favor for sports and hobby magazines, which could have been produced locally. Surprise surprise, his proposal was accepted and enacted. All was going well with the city saving funds by purchasing sports and hobby magazines for the youth centers. It was a local issue and relatively unnoticed, until the elections for Finland’s parliament came around. Mr Holopainen had decided to turn his hand from small time local politics to the national stage. Competing against him was the former chairman from the board of youth affairs who supported his motion against Donald Duck. As is often the case, the media soon caught on to the ban on Donald Duck, and questions were raised during the election campaign. Mr Holopainen defended his position claiming that it was a financial decision. The former chairman of youth affairs could have come to his defense, but for political reasons, namely his own political prospects, he failed to support Mr Holopainen’s claims. Mr Holopainen tried in vain to persuade and convince the press that it was a unanimous decision of the board and that it was made for monetary reasons, but he failed miserably. He lost the election and became known as the man who banned Donald Duck. But this wasn’t the only run in with the Finnish authorities that Donald Duck had. A few years earlier in the town of Kemi, a similar event occurred. 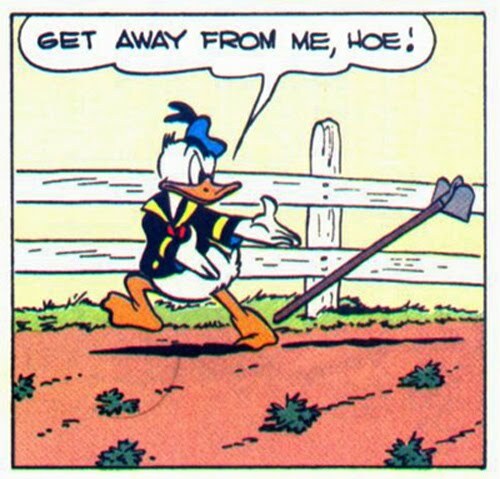 The international press caught hold of it and began exaggerating the reports, claiming that Donald Duck was banned in Finland due to his lack of pants and his unmarried relationship with Daisy. This is where things get a little weird. As the reports in foreign papers filtered back to Finland the local tabloids weren’t outraged at the false reports. Instead, they ran stories at the international reaction that the ban was receiving, saying Donald Duck banned in Finland because he has no trousers. This was of course wrong, but what was the result? Within a few months it all blew over. Everyone forgot about the big ban and Donald Duck became even more popular than ever. In fact, in neighboring Sweden watching Donald Duck cartoons on Christmas eve has become a tradition.